“Halfpipe carries a bit more weight because it’s a defending situation,” snowboarder Shaun White said in a press conference. SOCHI, Russia — He rose to the top of his game when snowboarding was as much a cultural statement as an Olympic event. And by bringing home gold from the Turin Games, Shaun White became the face of his sport: The Flying Tomato, a fun-loving, freewheeling dude just stoked to be knee deep in pow, bro. 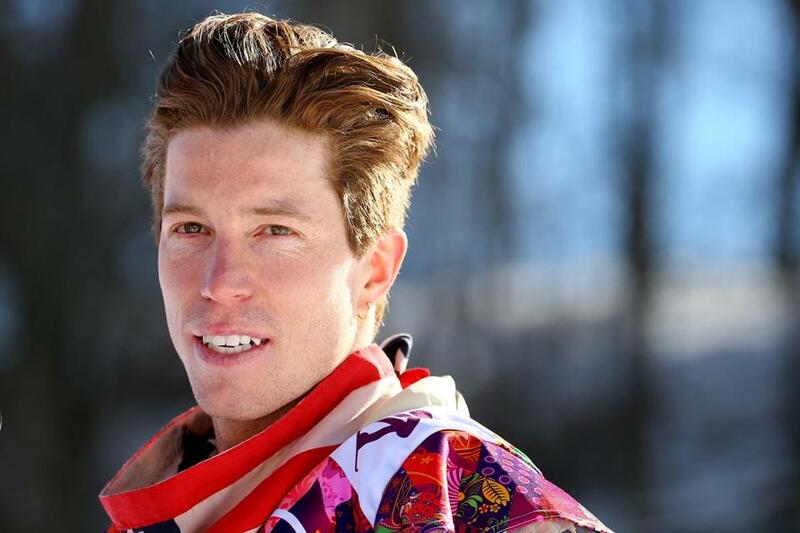 Now the long red locks are gone, and combining the words “Shaun White” and “Enterprises” yields the name of a company that designs apparel for Target and sunglasses for Oakley. He’s rubbed elbows with Colin Powell and Condoleezza Rice. Snowboard’s rock star now has his own rock band, and he cops to spending less time on his board. But White is still all about the gold. When he enters the halfpipe Tuesday, he will have a shot at becoming the first American male to win gold in three straight Winter Games. And some peers suggest that White has put winning that third gold above the carefree ethos of the sport he helped popularize. When he pulled out of Saturday’s slopestyle event, citing concerns about the course, his Canadian rivals reacted as though he had played a dirty trick, and tweeted taunts to the effect that White had bailed because he knew he couldn’t win. And it wasn’t just the enemy to the North; snowboard commentators from the US of A found fault with White’s single-minded focus on the single prize. White, for his part, makes no secret of that. Before he announced in an exclusive NBC interview that he was pulling out of the snowslope, White made it clear that the halfpipe was his priority because he was the champ. But in a sport that’s all about style, making history is partly about how you do it. It’s not that snowboarders don’t respect winning. Fellow American Sage Kotsenburg, 20, won lots of respect, along with his gold medal, when he came up with a new trick called the Cab Double Cork 1260 Holy Crail grab and blew away the favorites in the slopestyle. It’s just that in this sport, you get added praise for being an easygoing and creative champion, like, say, Magic Johnson. White is snowboarding’s Michael Jordan. Behind the household-name charm, White is known as a maniacal trainer who practices by himself — another snowboarding faux pas — on a halfpipe built by Red Bull, a sponsor, in a distant corner of Colorado. A documentary Shaun White Enterprises helped produce, “Shaun White: Russia Calling,” follows White as he doggedly attempts to become the first to nail a triple cork in the halfpipe. The suggestion to the viewer is that White is not going to let his pop-icon status prevent him from remaining dominant in his sport. That note of caution was not unwarranted — White suffered ankle and shoulder injuries while qualifying for the Olympics — and the Flying Tomato sounded decidedly down-to-earth when he explained how age has made him more grounded. One of the Canadians who might stand in the way of White’s third win is Maxence Parrot,who deleted a tweet he sent calling White “scared” after the American withdrew from the slopestyle event. But an unrepentant Parrot stood by his accusation of selfishness. “To take an American spot away from another one of the guys, some American is probably today, probably sitting at home angry,” he said. If there was any anger on the American team, White’s coach, Bud Keene, did not let on, saying he supported White’s decision to compete in the halfpipe alone. And in his words, anyway, White was not letting on that the chatter was getting to him. “I do the things that I want to do and I still approach the competition in the same way,” he said. Material from the Associated Press was used in this report. Globe correspondent Dan Egan contributed to this report. David Filipov can be reached at David.Filipov@globe.com. Follow him on Twitter @davidfilipov.